The Leiden Institute of Chemistry is part of the Faculty of Mathematics and Natural Sciences of Leiden University. Leiden University is a member of the League of European Research Universities. The experimental section of the Soft Matter Chemistry group is headed by dr. Alexander Kros who received in 2009 the prestigious European Research Council (ERC) award. The current group is composed of 10 PhD-students, 3 postdocs and 2 technicians. Our group has an organic synthesis lab equipped with 2 peptide synthesizers and equipment for analysis (i.e. FT-IR, CD, optical and fluorescence spectroscopy, CLSM) Furthermore we have direct access to AFM, SEM, TEM, NMR, cell culture facilities. We collaborate with several research groups within Leiden University and other Universities. Membrane fusion is a key process in all living cells as it facilitates the transport of molecules between and within them. This process is triggered by the specific interaction of fusion proteins that brings two membranes into close proximity followed by local disruption of the lipids and merging of the membranes. However, the exact mechanism and fundamental requirements of fusion are still unknown. In this project, model systems will be developed containing simplified versions of SNARE proteins, which induce liposome fusion displaying the key characteristics of native membrane fusion. The basis of this project has been recently published in Angewandte Chemie Int. ed., 2009, 48, 2330 –2333. The main focus of this project is the design of lipidated oligopeptides able to induce targeted liposome-liposome fusion and ultimately liposome-cell fusion. The research will be performed within the research group Soft Matter Chemistry (SMC) at the Leiden Institute of Chemistry, see http://smc.lic.leidenuniv.nl/ for more details. You must have a degree (drs./MSc) in the domain of organic chemistry, supramolecular chemistry, nanotechnology or biochemistry. The ideal applicant has experience with organic synthesis and/or supramolecular chemistry. A background on the physical characterization of self-assembly structures and/or in the field of cell culturing is a big plus. You have demonstrated a strong interest in an academic career through your publication record and prior engagement in collaborative research and teaching. Furthermore you have excellent communications skills in English, both written and verbal and are expected to master the Dutch language sufficiently. We offer a challenging environment to develop on-the-job the skills and networks that a successful academic needs. Appointment will be according to the terms of the Collective Labour Agreement of Dutch Universities (CAO Nederlandse Universiteiten), for a period of one year with an extension of three years after positive evaluation of capabilities and compatibility. Ultimately the appointment must lead to a completion of a PhD thesis. During your appointment you will be supervised by Dr. A. Kros as your co-promotor. Prof.dr.ing. J.G.E.M. Fraaije will be you promotor. The gross monthly salary is set on € 2.042,- in the first year up to € 2612,- in year four. An appointment with Leiden University includes a pension build-up and facilitates other benefits such as an annual holiday premium of 8% and an end-of-year premium of 8.3%. All our PhD students are embedded in the Leiden University Graduate School of Science . Our graduate school offers several PhD training courses at three levels: professional courses, skills training and personal effectiveness. 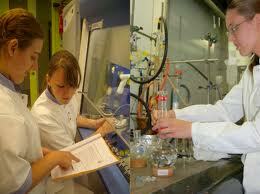 In addition, advanced courses to deepen scientific knowledge are offered by the research school. www.lic.leidenuniv.nl More information on employment at Leiden University can be found at: www.leiden.edu. Demikianlah informasi PhD Scholarship at The Leiden Institute of Chemistry kami sampaikan, semoga bermanfaat.